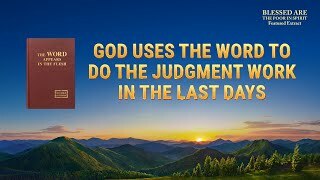 Now in the last days, God has appeared and has begun to work, that is, the incarnate Almighty God has started His work of judgment for the last days; therefore those who can accept the work of Almighty God are the most blessed. 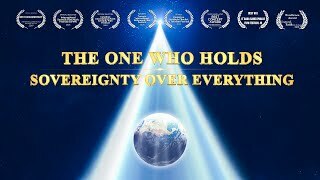 Some religious people hear this and disapprove, they don’t acknowledge this sentence, they say: “Our Lord Jesus is the real God, the Lord Jesus is Christ. 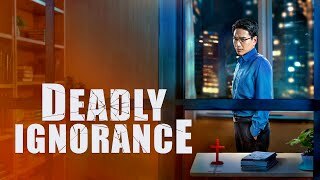 We don’t need to believe in Almighty God to enter the kingdom of heaven.” Do all religious people think in this way? Does this conform to God’s intentions? The Lord Jesus never said that if you believe in Him you can enter the kingdom of heaven, He didn’t say that. He didn’t say that if you accept the redemptive work He will forgive your sins and allow you entry into the kingdom of heaven. Nor did He say that if you stick to the name of the Lord Jesus, these three words, you can enter the kingdom of heaven. He didn’t say that. He said that in the last days, all those who hear the coming of the bridegroom and receive him and feast with him are the blessed. These people will be raptured and have the opportunity to enter the kingdom of heaven. The wise virgins can accept the return of the Lord; the foolish virgins will not welcome the return of the Lord. What is the outcome of the foolish virgins? They will be abandoned, eliminated! 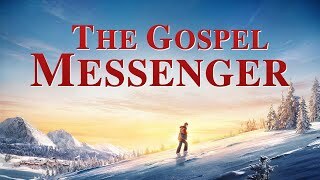 So, of those who believe in the Lord, only the wise virgins can accept the work of God in the last days, can recognize the voice of God from the truth expressed by Almighty God, and can see the certainty of the return of God. These types of people, the Lord is with them. They will sup with the Lord, eventually being purified, being saved and brought into the kingdom of heaven. The salvation of mankind comes mainly in two stages: First, God incarnate did the redemptive work, performing the sin offering. 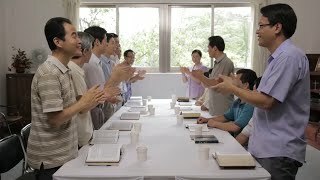 Second, God incarnate judges, chastises and purifies man. This is the true witness to God’s work of salvation for mankind. If you can only accept the first stage, which is only accepting the sin offering, but cannot accept God’s judgment and chastisement in the last days, then the sin offering holds no meaning. The sin offering does not purify man; it cannot do so. Only judgment and chastisement can purify man. So, what is the sin offering? It gives you eligibility. If you accept it and accept the Lord Jesus’ name, your sins will be forgiven, and you qualify to pray to God, to come before Him and to accept His work. Is this not a kind of eligibility? Some say, “That is wrong. As soon as we accept the Lord Jesus, our sins are forgiven. How can you say this is just a kind of eligibility?” Is this the correct way of thinking? Does this argument stand? Is the forgiving of sin equal to being purified? It is not. Thus, forgiving your sin is God’s grace, the bestowing of His grace upon you. God will disregard your sins, but this does not mean you are without sin, and it certainly does not mean you will not commit sins. Therefore, believers whose sins are forgiven can still commit them; they can still lie and cheat like before and remain stuck in a cycle of committing sins and then confessing sins. Isn’t this true? If you look at it from the perspective of this truth, does the sin offering then represent purification of man? Is it the work of purification? It just gives man eligibility. Once you have this eligibility, you can pray to God and enjoy His grace. So, what is God’s grace? It is to pardon you, but it doesn’t mean you are purified. It is simply a pardon. In the Age of Grace after the sin offering was made, did man become eligible to enter the kingdom of heaven? They did not. What proof do we have? The Lord Jesus said, “Not every one that said to me, Lord, Lord, shall enter into the kingdom of heaven; but he that does the will of my Father which is in heaven” (Mat 7:21). If you say, “Lord, Lord,” then are your sins not pardoned? Why can’t you enter the kingdom of heaven? According to these words, you still cannot enter the kingdom of heaven even though your sins are pardoned. It does not give you the eligibility to enter the kingdom; it merely gives you the right to pray to God, and to come before Him. Why, then, did God perform the sin offering for man? 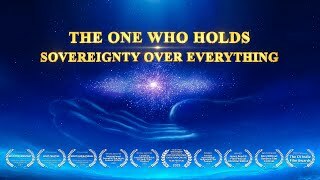 God is holy. If you are a sinner, one who commits sins, and if you are Satan’s type, you are not eligible to witness God. You are neither worthy of witnessing Him nor praying to Him. Were you to pray to Him, you would bring shame to Him and sully His name. So, God made the sin offering. He pardoned your sins. He disregarded them and He pardoned you so that you are eligible to pray to Him. The Lord Jesus’ work opened the way for the judgment and chastisement in the last days. He performed the sin offering, and through this, man is eligible to receive Jesus’ second coming and to accept God’s judgment and chastisement in the last days. This was what the work of the sin offering was about. What kind of work is God’s judgment and chastisement of man in the last days? It is the work of saving and perfecting mankind; it is the work of bringing salvation to these people and taking them into God’s kingdom. One must be judged and chastised to be raptured into the kingdom of heaven. To experience the judgment and chastisement of God is to experience the practical work of being raptured by God and brought into the kingdom of heaven. What does it mean to be raptured into the kingdom of heaven? That is to accept God’s judgment and chastisement, to be purified, thereby to remain and to enter into the kingdom of heaven. “Otherwise you shall never have the opportunity to be commended by God.” What kind of person does God commend? He commends those who are purified and perfected through experiencing God’s judgment and chastisement. Have you seen this matter clearly now? This is a vision, and you must see clearly the vision of God’s work, for this is the only opportunity, an opportunity for millennia to come. This is the only opportunity to enter into the kingdom of heaven. The Israelites experiencing God’s work were not given such an opportunity; during the two thousand years of the Age of Grace, those believing in the Lord Jesus were not given this opportunity; instead, those born in the last days who have accepted God’s work have been given this opportunity. If you miss this one, you will never have another opportunity to be commended by God. Without the opportunity to be commended by God, can you enter into the kingdom of heaven? If that is the case, then you shall never enter, for there is only this one chance. Previous：Question: People are sinful, but the sin offering of the Lord Jesus is forever effective. As long as we confess our sins to the Lord, He will forgive us. We are sinless in the Lord’s eyes, so we can enter the kingdom of heaven! 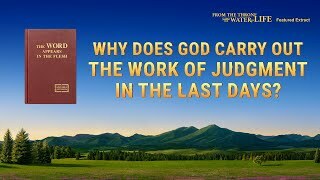 Next：In the last days, God is mainly expressing truths and doing the work of judgment beginning with the house of God. 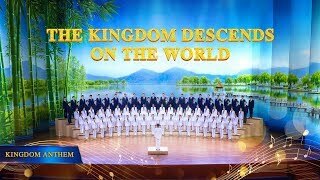 Only the process of undergoing God’s judgment, chastisement, trials, and refinement of the last days as well as being purified and perfected by God, ultimately gaining the truth as our very lives, is truly attending the feast with the Lord.